As soon as I had bitten into one of these little apples, I knew that they were perfect for a chutney because they were so deliciously tart. Medha had made it known by then that she was not enthralled by the vinegary flavor. She enjoyed the spiciness but wished the vinegar were not as overwhelming. That made these crabapples even more perfect! 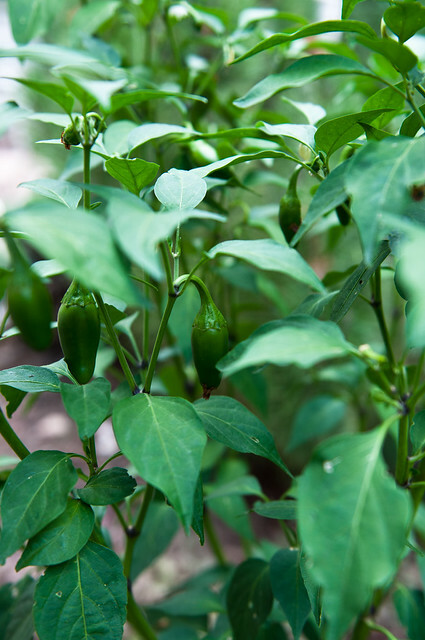 By then, my little hot green chile plant was heavy with fruit, too. 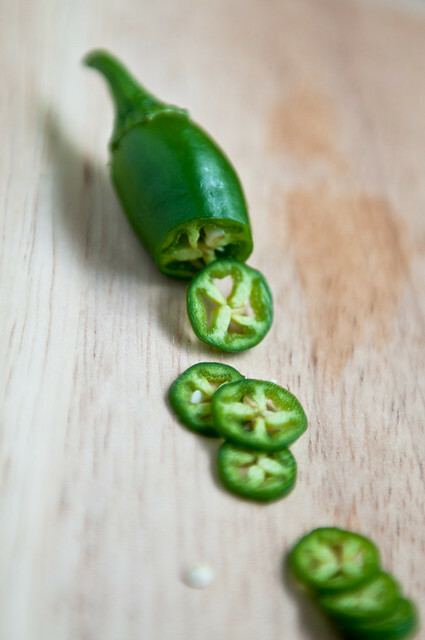 So I decided to switch out the red chile powder with these cute jalapeños from my backyard. Ingredient #2 was also organic. 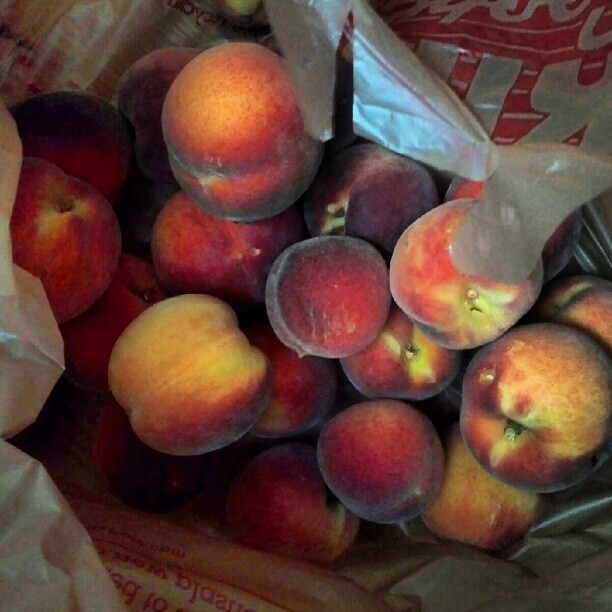 Lisa's peach tree was overladen with fruit around the same time. I had no choice but to pick that delicious fruit and bring it home for this chutney! Ingredient #3 was also organic. I wish the rest of the ingredients for this chutney were organic but they're not. And, it's ok.
Chop the peaches into small pieces, about 1/2 inch by 1/2 inch. Slice the crabapples into eighths. Put all ingredients—except jaggery, malt vinegar, lemon juice and lemon zest—into a large heavy-bottomed pot. Add about 2/3rd cup vinegar and heat on medium-high, stirring frequently, until the mixture comes to a simmer. Lower the heat to medium at this point. Add more vinegar if the fruits start sticking to the bottom of the pot or if it becomes too dry or thick. Stir occasionally and lower heat even further to maintain a gentle simmer. After an hour of simmering, stir in lemon zest and lemon juice. Stir in the 3/4th of the jaggery and continue to simmer for another 45 minutes, stirring occasionally. After making sure that all the jaggery has dissolved, take it off the heat and keep overnight. Once cool, store overnight in a refrigerator. I did not can this chutney and instead chose to freeze it flat in ziploc bags. But if you wish to can the chutney, get your water canner ready with boiling water while the chutney is simmering. Make sure your jars are hot and ready for the chutney, and the lids are sitting in hot water. Fill the jars leaving about 1/4in headspace. Remove air bubbles by running a chopstick through the chutney. Clean the lip of the jars and adjust the lids and bands appropriately. Process using boiling-water method for at least 10 minutes, making necessary altitude adjustments (pdf file, see pg2). Allow to cool, and then test every jar for a tight seal. Store in a cool place and serve at least 2 to 3 months after being made. The substitutions remain the same as for the apricot chutney. Use apple cider vinegar instead of malt vinegar. Use brown sugar instead of jaggery. 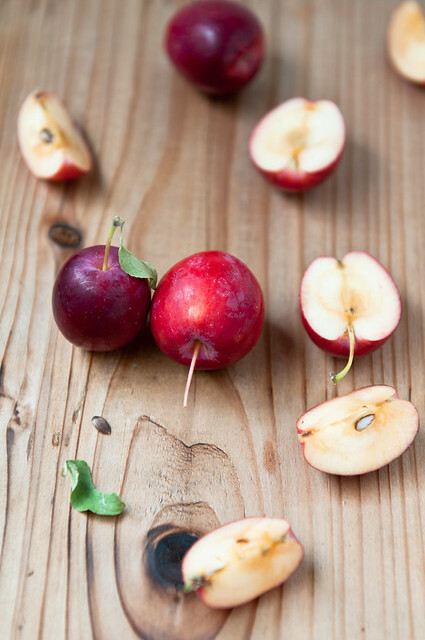 Use tart apples like Granny Smith apples instead of crabapples, if you don't have easy access to them. Keep in mind that the color will not be a beautiful red. 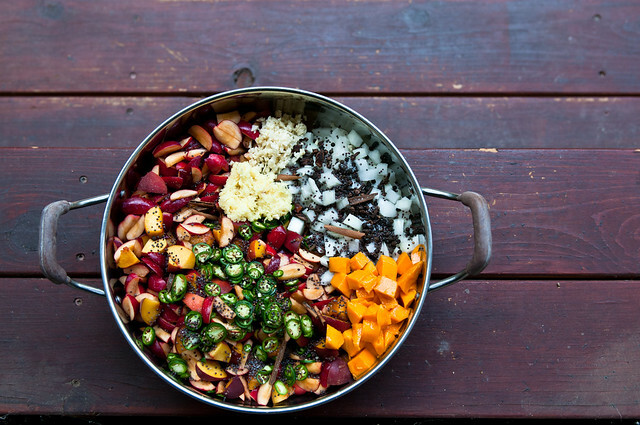 Pick out the whole spices before serving if you don't like to bite down on them. We chomp right through them so I don't bother with this step. And remember that if you can this chutney, don't throw the water from your water bath down the drain. Let it cool and then water your indoor plants as well as those in containers outdoors. Love the texture of the chutney looks absolutely Devine !! Delicious and lovely preparation. Simple yet tempting chutney. Turmeric n Spice, you're right! The texture is wonderful. Crunchy onions and softened crabapples. The peaches almost dissolved into the chutney. Anna, any tart crunchy apples will do. But I hear you about space! I do want to know more about your grapefruit pickle. How much salt to grapefruit did you use? I did try making one but it became moldy very quickly despite my best efforts. So I must have had the salt to grapefruit ratio wrong. I was also doing it in winter--making the most of the radiant sunlight and then placing the jar near the heating vents. But, alas, failure! I flatpacked my chutney in freezer bags. That takes a lot less room than jars. However, it is in plastic. Win some, lose some! Hamaree Rasoi, thank you! The original chutney recipe is very versatile and I cannot take credit for that. I've now made it with apricots and mangos, and crabapples and peaches! Try it when you have abundance of fruit and can't eat any more as is. The chutney looks lip smacking. 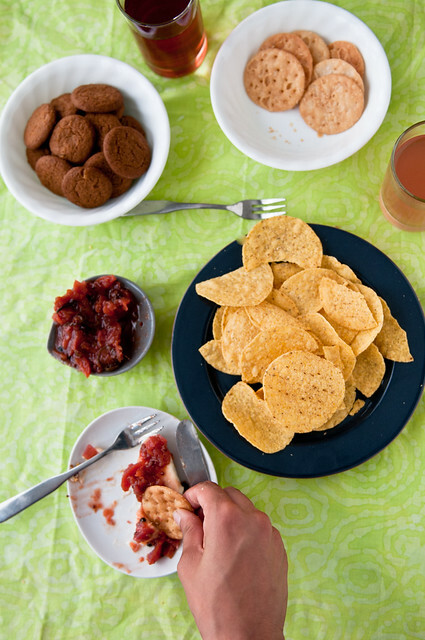 I love the chutneys which are tangy instead of plain sweet or spicy. We do not get Crabapples or that great Granny Smith apples here. So gonna try it with mangoes or peaches. PS: Loved the puris in the last pic. this chutney would be a great topping for them. Manisha, I used your lime pickle recipe, and then added about a quarter-cup more of salt. Added juice of 2 lemons to help with acidity, and then I got hyper and added the juice of 2 more grapefruits. Too much juice! Or maybe it kept them from molding, because it didn't thicken up as much as the lemon/lime version, and the pieces stayed submerged. About halfway through the process, I tasted and was getting too much chipotle powder taste, so I added about 3 Tbs more of sugar. Did that again at about the 6 week mark. Interesting that while there is no mold, it did "weep" a little very sticky syrup. But the pickle appears to be none the worse. I think if I did it in the hot part of the summer instead of the tail end, it would go better. There's only one window in my apartment that faces south, on the airspace, so in winter it doesn't get full sun at all. (Silly planet, it will move! )I think not having enough sun was probably your difficulty. I have a Russian friend who runs a bar here and she swears by your lime pickle to make sauce for Patatas Bravas! I will give her some of the grapefruit and see what she says. YUM. I love chutney. I don't mind vinegar, but I do have a crabapple tree. I've never tried its fruit, I bought it for ornamental reasons lol. Maybe I'll give it a shot next spring. I have neve rhad chutney like this but just reading the igridients i am drooling. You are such an inspiration to me, Manisha. I had some greengage plums, two or three yellow ones, and a couple of purple ones that had all gotten pushed to the back of the crisper and were a bit soft, so I chopped some fresh ginger and red onion, added star anise, black pepper, 2-3 cardamoms, jaggery and a touch of cinnamon and clove, threw in about a cup of red wine I had left over, and cooked it all down. When my student walked in she said, "Your house smells delicious!" Today when the chutney was cold (my poor fridge!) it tasted wonderful. With the wine, I didn't need to add vinegar, which can dominate over plums. Anna, I think the acidity of the juices probably helped prevent the mold! I think I will wait until late spring to try my hand at it again. We're looking at our first frost, freeze and storm, all rolled into one in the next couple of days. 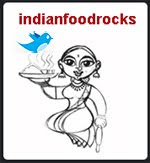 I'd love it if you could write to me at indianfoodrocks at gmail dot com. 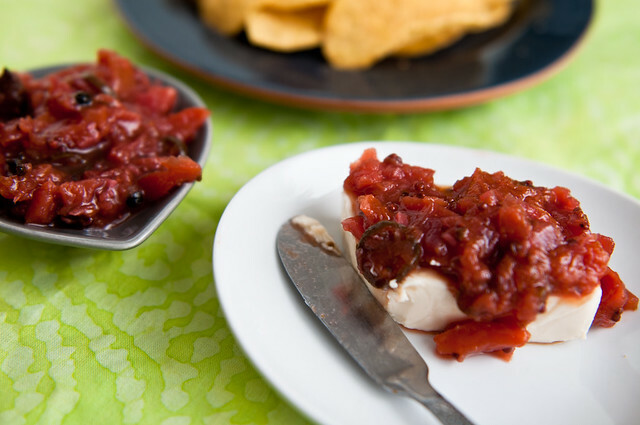 I'd love it if you and your Russian friend did an "In The Kitchen With" for Patatas bravas with my lime pickle! It would be fun! And, thank you but I think you are truly amazing! Medha might prefer your version with red wine! Laura, crabapples aren't just for the birds! I wish ornamental pears weren't just for the squirrels. I have three ornamental pear trees in my little yard. I wish one of them was crabapple! I picked these from the Open Space around the lake where I walk. If you use the red ones, they give the chutney a beautiful color. They are rich in pectin and you can make jellies from them, too! Pelicano, we still have a few trees with red crabapples. But they are a little smaller than the ones I used. I chose the larger ones and made sure there were plenty left for the geese. I hope you found red ones! 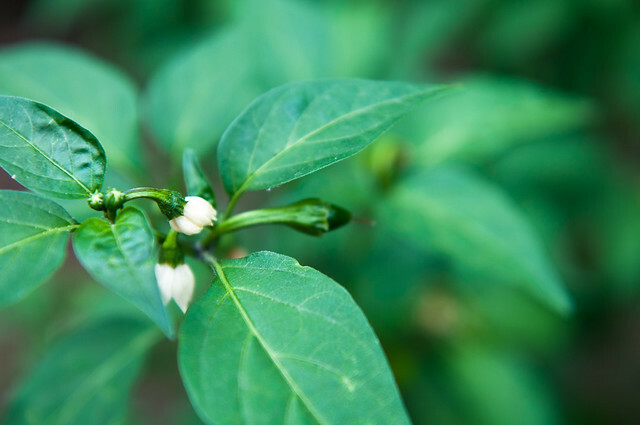 Namitha, the jalapenos can go either way - some are hot, some are barely on the Scoville scale!